Who Is Killing Doctors And Why? 6 Dead In 30 Days, Multiple Missing Doctors And A Possible Cover-up On 3 Supposedly Found Dead In Mexico! It’s been predicted that by 2020 1 out of 3 children will have Autism, that’s only 5 years away! This is alarming statistics. There is serious TREASON happening here. The links between GMO’s, Vaccines and Prescription Drugs is evident to keep us ill all for profit! Perhaps only when more Americans realize that chemical/drug profiteers are planning for some half of the U.S. population to be disabled with Autism or with Alzheimer’s by 2050, will enough American citizens demand better. Meanwhile, the targeting to death of America’s best professionals is soaring, as are Autism and Alzheimer’s rates. Now there are 10 Doctors who signed a petition to silence Dr. Oz. Watch this video, click here. More info here on deaths of doctors. The worlds top anti-virus microbiologists are being killed off. By 2005, 40 were dead. Today, over 100. Watch this video… 100+ Microbiologists DEAD! Look at this list…. Adding to mysterious deaths and disappearances of three American holistic anti-vaccine doctors in one state over the past two weeks plus three Mexican doctors and their two employees recently disappeared, supposedly found dead in the back of a pickup on June 19, are two more doctors missing, possibly disappeared in the US. Earlier this year, another holistic doctor met an untimely death after months of pleading for help as a self-identified Targeted Individual, as reported by Deborah Dupré. It has emerged that most of these had at least one common link. Dr. Patrick Fitzpatrick, a retired ophthalmologist who had practiced in North Dakota, went missing in neighboring Montana around July 3rd. Fitzpatrick, 74, is an MD specializing in Ophthalmology. NBC reports that the vehicle and trailer of Bismark resident Dr. Fitzpatrick were found abandoned next to a pea field Saturday, south of Willow Creek, near Three Forks, sheriff’s officials reported. Also mysteriously missing as of June 29 is physician and preventive health advocate Dr. Jeffery Whiteside, in Fox Valley area, residing in Grand Chute, Wisconsin. Door County Sheriff’s Department is reportedly looking for Dr. Whiteside, last seen in the Ephraim area of northern Door County at a family vacation home and boat slip in Ephraim. He was last seen walking away from his boat slip at the family gathering. WFRV reports on Dr. Whiteside, saying he is M/W DOB: 05-07-52 Age: 63, Height 5’09” Weight 185 lbs Hair: Brown Eyes: Brown, He was last seen wearing a maroon colored polo shirt and gray shorts. He wears eye glasses. Dr. Whiteside’s boat slip and vacation cabin is in Ephraim. Officials say he is believed to be on foot and still in the northern Door Co. area. Door Co. Sheriff’s Department was notified that Dr. Whiteside was missing on 07-01-15 at 0906 hrs. The Door Co. Sheriff’s Dept. along with Ephraim Fire Department volunteers and others continue looking for Dr. Whiteside, with search efforts concentrated in the Ephraim area. The Sheriff’s Department asks for the public’s assistance in finding Dr. Whiteside. If anyone has seen Dr. Whiteside, please call the Door Co. Sheriff’s Department at 920-746-2416. Whiteside is a doctor at Fox Valley Pulmonary Medicine, serves as ThedaCare Board of Trustees secretary and is an Executive Committee member. He was previously president of Appleton Medical Center and ThedaClark Medical Center staff.“Thousands of employees worked and work with (Dr. Whiteside) and the same number of patients have been helped by him,” said Megan Mulholland, spokeswoman for ThedaCare. “He has never stopped caring and developed long-term relationships with those patients.”“The longer he remains missing the more suspicious it is,” said Chief Deputy Pat McCarty, Door County Sheriff’s Department. Holistic Dr. Teresa Ann Sievers MD, 46, also in Florida, in the Naples area of the South West coast in Bonita Springs, was found dead on June 29 in what has been ruled a homicide. She was a well loved, popular holistic medical doctor, according to her clients, website and close associate. “Sievers’ work as a holistic doctor focused not just on healing the body, but the mind and spirit as well, according to her close friend and colleague,” NBC reported. Dr. Sievers lived in a safe area where neighbors said problems are rare, if ever. That is no deterrent, however, to dangerous stalkers, including multi- or gang-stalkers who work in organized groups. She was murdered in her home while her husband and children were with relatives in Connecticut. She’d flown home alone the night before. Her body was found Monday morning at her Jarvis Road home after she didn’t arrive at work. Sievers’ neighbors, however, describe hearing screams on day of death. Her murder has reportedly left family and friends puzzled. “We don’t know anything but that she was murdered,” said Sievers’ sister, Annie Lisa, 52. She said Sievers, her husband and children had come to Connecticut for a gathering and her sister flew home alone Sunday, according to News Press.com. “The 46-year-old victim’s relatives remained mystified as to who would want to harm the beloved physician who dedicated her life to helping women and girls,” the Daily Mail reports. The professional’s neighbors said they are now concerned for their own safety, especially because authorities have remained tight-lipped about the circumstances surrounding her murder. ‘I’m very scared for my safety,’ resident Donetta Contreras told WINK News, based in southwest Florida. Lee County Sheriff’s Office said Wednesday they were pursuing several leads in connection with the slaying. They reassured locals that no threat to the general population exists and that the murder was targeted, not random, (no reassurance whatsoever to the thousands of self-gentrified targeted individuals). Sievers’s husband Mark, office manager at Sievers’ Restorative Health & Healing Center clinic, is said to have adored his wife and worked hard for her tireless contribution to clients. Neighbors say they heard from law enforcement that this was a “gruesome murder scene,” some saying it involved a hammer. Neighbors reported to a tan-colored pickup truck was parked at the home the morning Dr. Sievers was found dead. Added to the disappeared or deceased American doctors within the same couple of weeks are three Mexican doctors plus their attorney, a story that took an even more suspicious turn today. Authorities reported finding the three missing Acapulco, Mexico doctors and their lawyer dead in the back of a pickup on June 19, in the troubled southern Mexico state of Guerrero, around the time the American doctors began dying mysteriously. A prosecutor’s office official then reported that the four young men were kidnapped by an armed group on the federal highway linking Mexico City to Acapulco as they headed to Chilpancingo, according to NDTV. Then, State Attorney General Miguel Ángel Godínez Muñoz told reporters Saturday that DNA tests confirmed the dead men were Dr. Raymundo Tepeque Cuevas, Dr. Marvin Hernández Ortega, Dr. José Osvaldo Ortega Saucedo and Julio César Mejía Salgado, the lawyer. The four were graduates of Autonomous University of Guerrero (UAG). The doctors worked at a community hospital, according to SDPnoticas.com. Today, it is reported that before their disappearance, doctors Marvin Hernández Ortega and Reynaldo Tepeque Cuevas, and two “administrative employees” José Osvaldo Ortega Saucedo and Julio César Mejía Salgado, were traveling in a gray car that police later found in Xolapa riddled with bullet holes, blood stains, and shells from a semi-automatic AR-15 rifle. PanAm Postreports that to get the case closed as quickly as possible, officials delivered the wrong corpses, not those of the doctors and their attorney (as originally reported) nor administrative employees. Sunday, the victims’ families again distributed leaflets, set up posters, and painted murals in Acapulco, as they had on Saturday to urge authorities to keep searching for the missing medical professionals.“Contrary to statements from Guerrero Attorney General Miguel Ángel Godínez Muñoz, their families do not believe they have yet been found,” PanAm Post reports. An anti-vaccine link has been posited regarding the first three American doctor meeting untimely deaths in June. Each of the three were anti-vaccine holistic doctors. The first was compassionate but controversial Autism researcher Dr. Jeff Bradstreet MD. His body was found far from home in a river, with a gunshot wound to his chest. Officials were quick to rule suicide. Family and friends disbelieve this. Dr. Bradstreet treated hundreds of children with autism through chelation therapy at his medical clinic in Palm Bay, Florida. His son has autism that he believed was due to a vaccine induced reaction when 15-months old. While many still view anti-vaccine doctors as quacks, Italy is one nation that does not do so anymore. On Sept. 23, 2014, an Italian court in Milan awarded compensation to a boy for vaccine-induced autism. (See the Italian document here.) A GlaxoSmithKline Infanrix Hexa vaccine against six childhood diseases caused the boy’s permanent autism and brain damage. The vaccine contained antigens, thimerosal (mercury-containing preservative), aluminum, an adjuvant, and other toxic ingredients. The child regressed into autism shortly after receiving the three doses. The US media underreported the case. Secrecy enshrouding vaccine adverse affects on the human population was also revealed in the case. Mary Holland, a research scholar and Director of the Graduate Legal Skills Program at NYU Law School, in a Global Research article, points to Presiding Judge Nicola Di Leo’s consideration of another piece of damning evidence: a 1271-page confidential GlaxoSmithKline report (available on the Internet). This document provided ample evidence of adverse events from the vaccine, including five known cases of autism resulting from the vaccine’s administration during its clinical trials. In 2012, Judge Lucio Ardigo of an Italian court in Rimini presided over a similar judgment, finding the Measles-Mumps-Rubella (MMR) vaccine caused a child’s autism. The new guidelines target unorthodox medical information that the AMA deems dubious and unsubstantiated and create disciplinary guidelines for doctors who make public claims that do not align with the ‘best available science’. The AMA spent nearly $20 million on lobbying in 2014 alone. Its roots are deep into American medicine. It has a powerful influence over the way state licensing boards oversee and discipline physicians in the U.S.. – Dr. Richard Horton, editor-in-chief of the well respected Lancet peer-reviewed medical journal, recently published a statement declaring that much published research is unreliable at best, if not completely false. In relation to vaccines, Dr. Sircus points to mercury in the flu vaccine as one example of the cocktail’s danger: “In the flu vaccine, there is a whopping 51,000 ppb (parts per billion) of mercury in the multi-dose flu vaccine—the most common type of flu vaccine given. How much is 51,000 ppb? It is 25,000 times the legal maximum for mercury in drinking water established by the Environmental Protection Agency. Keep in mind that when you inject mercury, it is 100% absorbed so it is more toxic to inject it as compared to eating it in fish or drinking it in water. Do pediatricians rise up against the CDC and complain? (https://mail.google.com/mail/u/0/#all/14e6df44ba19c520)“As far as I am concerned pediatricians, who inject children with the flu vaccine are criminals but like everything else, people are conned and very few complain,” says Sircus. “There is little to no kindness in mainstream medicine because they are too busy making money practicing a form of human butchery that maims and kills people by the hundreds of thousands a year around the world.” Another possible link between at least two of the American doctors missing and the Mexican doctors is they had all had recent encounters with federal government officials. Two of the American doctors had recently been contacted by federal agents. Both doctors Hedendal and Bradstreet reportedly had recent run-ins with US federal agents. FDA and DEA agents raided Dr. Bradstreet’s office on June 16. Reportedly, federal authorities has also contacted Dr. Hedendaldays before his death, according to ABC7. An associate of Bradtsreet stated under anonymity: “I know enough about Jeff Bradstreet to know his state of mind. He was a sound thinker! He was prudent and calculated. Acting out on the spur of the moment and deciding to kill himself is like a joke. He was a jet pilot!… The one thing all instrument pilots share is a high IQ with the ability to multi task and make sound pragmatic decisions in emergency situations. In other words, [they] don’t freak out!” A commenter wrote that he’d spoken to Bradstreet while the agents were with him. “I spoke to Jeff at 12:30 that Thursday just when the FDA was there. He was calm and told me there was a emergency he would call me back the next day, Friday. He was a genius, a very very smart man who would not have killed himself over this on such short notice.” El Sur reports that hours before their deaths, the Mexican doctors had also been in contact with government officials. El Universal reported last Thursday that investigators found an abandoned taxi near the SUV and in the back of the vehicle, they found a shirt with the state police logo on it and a cartridge belt. Violence against Mexican health workers is not new, says Escobar Secretary Habeica. Recent American history is also littered with government-sponsored covert targeting of individuals, people PI William Taylor say are “Americas’ best people.” Accidental deaths and suicides of scientists with evidence showing what mainstream touts as news is leaving a big gap in truth. These targets had potential to sabotage important agendas not in best interest of humanity. The five American doctors who recently died untimely deaths or remain missing are among 74 prominent scientists murdered over the past ten years. Another commonality between the mystery disappearances and deaths is that families and friends are accusing officials of fraudulent reporting on the disappearances and/or deaths. In the US, funds have been established to pressure further investigations. In Mexico, family and friends are demanding full, transparent investigations. “Cecilia Ortega Solórzano, mother of Hernández Ortega, disagrees with the official report: “The day we were told about the bodies, we went to identify them, but they didn’t belong to our relatives, who have been missing for four days. These corpses were decaying as if they have been dead for 15 days,” she said. 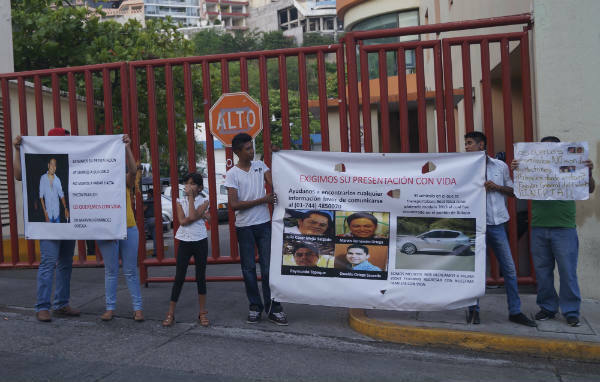 On June 28, the Mexican victims’ families met with Governor Rogelio Ortega Martínez, who “does not believe the prosecutor … He is on our side, he believes us,” relatives told local reporters. In a document delivered to the governor, they reject the forensic analysis and demand the prosecutor resign over his “ineptitude, lack of professionalism,” and “attempts to impose” his conclusions. Guadalupe Reséndiz, a psychologist and wife of Tepeque, reported irregularities during the investigations. She says investigators tampered with the crime scene, and that the advanced decomposition of the corpses found suggests they died days before the physicians went missing. Carlos Mejía Salgado, brother of Julio César, told press that he wants the federal police to run new DNA tests on the bodies. “We don’t anything they tell us here anymore; evidence can be manipulated,” he says. One difference between Mexico and the US regarding the deaths and disappearances is that enough Mexican health worker targeted individuals have been disappeared for Mexicans to protest. Doctors, nurses and hospital employees stage protest in Acapulco on June 24 demanding return of four missing men. Photo: Cuartoscuro A second difference is that after the Mexican doctors and their attorney and/or employees disappeared, the US issued a red alert warning to Americans about the danger of traveling to Mexico. Mexico has not issue a similar travel alert for traveling to the US. A representative from the National School of Topical Medicine says he isn’t buying “conspiracies that are surfacing on the web” about the disappearances. He is what is called a “Coincidence Theorist.” Peter Jay Hotez of the National School of Topical Medicine said: “Look at some anti-vaxxer sites and there is a heavy component of conspiracy theorists that say pharmaceutical companies are in collusion with the Public Health Authorities.” Are other American doctors at greater risk for being targeted to death for their upholding their “Do no harm” Hippocratic Oath by promoting safe and effective natural protocols rather than caving to the AMA and Big Pharma? 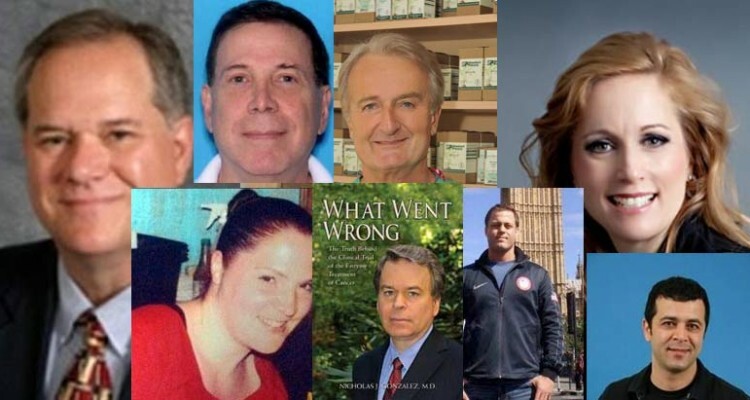 How many other holistic doctors or doctors with interest in natural, alternative remedies rather than drugs Big Pharma pushes have been covertly murdered? We have documentation of one in recent months, Dr. Deborah Gilmaker. (See: Secret Society Kills TI Doctor (Videos)) Dr. Gilmaker had been in contact with Deborah Dupré with her account of how she was being covertly targeted. “Deborah touched my heart after only one phone conversation and a couple of emails. This almost never happens to me – and now my heart is broken,” commented Stephen Axelrod wrote four months ago about Dr. Gilmaker’s suspected murder. “I think about Debbie often & it is close to her birthday now and I am wondering how the family is managing. Debbie kept me going when I was very ill. She was so magnificent and brilliant and funny and empathetic, and talked about her wonderful kids that she adored often.” Perhaps as more US doctors are targeted for upholding their Oath are covertly disappeared and/or assassinated, more Americans will believe the targeted individual phenomenon and demand change. In this regard, the US is becoming more like the country they are warned to not travel in, Mexico. Another Blog on signs~ Do I Have Intestinal Parasites? More products: www.OrganicSolutions1.com = (IBO# 3605911) Check out all our products, we also sell organic weight-loss coffee and coffee infused with Reshi mushroom extract, our Emu oil is incredible, ect… go to my Facebook page to look at pics of what the oil can do, www.facebook.com/organicsolutions1, detox parasites with organic Iaso tea, your gonna love it and you will find yourself talking about,… no fee to become a member, when you order your tea, order as a member, then next time you can order from yourself and get a check in the mail. Categories: Health, Uncategorized | Tags: 8 doctors dead, Alzheimer's, autism, Dr. Oz, GMO, Monsanto, Treason, vaccine | Permalink.